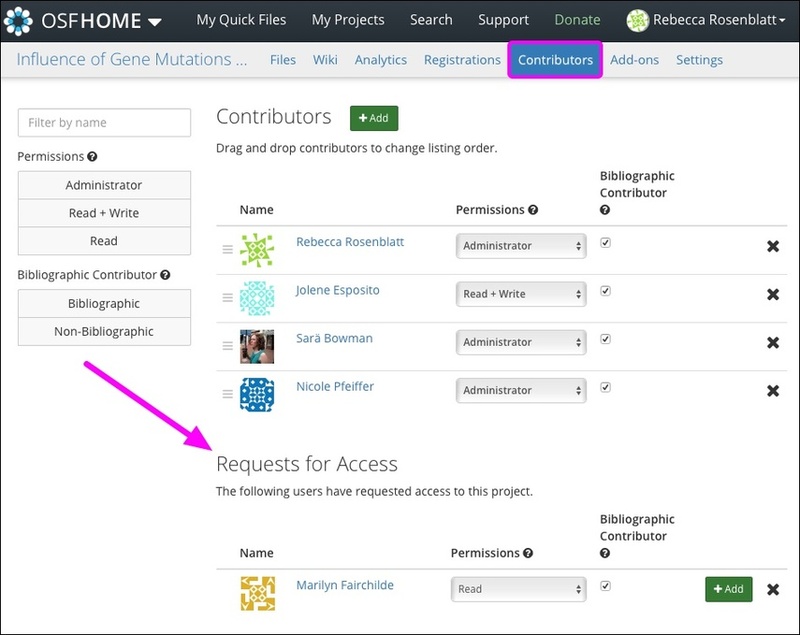 Researchers can request access to your projects to collaborate. You will be notified by email of requests to your project, and you can either accept or deny these requests. Follow this help guide for instructions on how to respond to access requests. Access requests will be enabled on your project by default. You can turn off this feature on your projects "Settings" page. 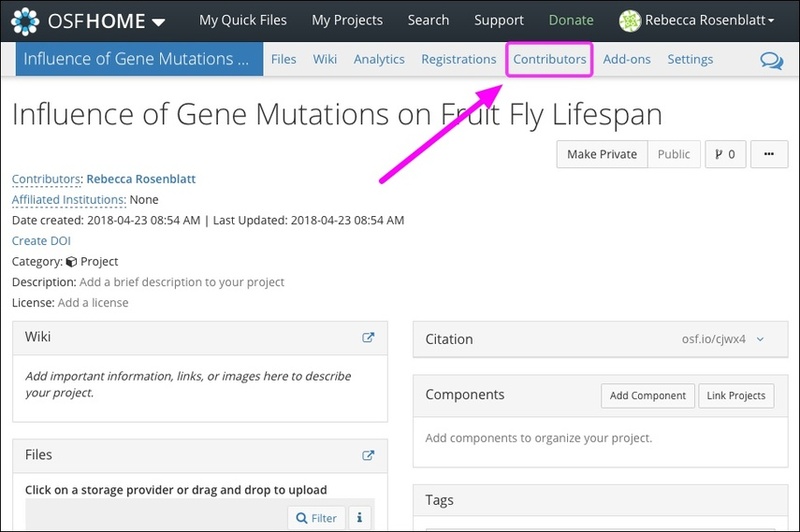 Open your project, then click the Contributors tab in the navigation bar. Find the "Requests for access" section to see the list of users who have requested access to your project. 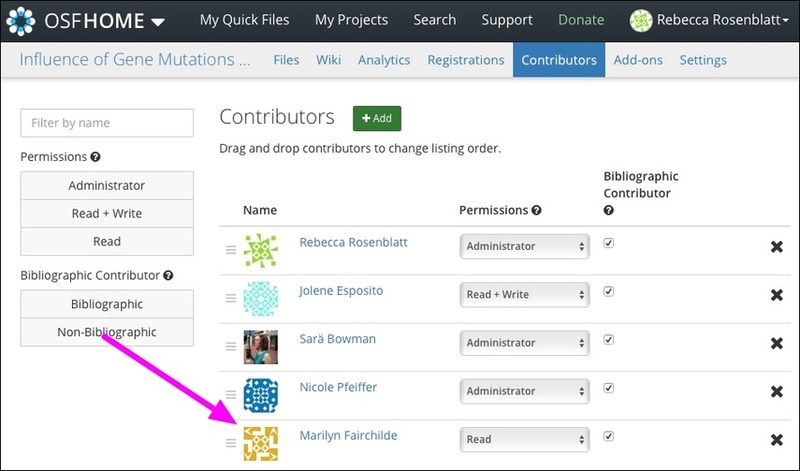 To add a user to your project, choose their permissions and bibliographic status, then click the green +Add button. To deny an access request, click the black X. The user will be added to your project. If you denied access to the user, the request will be removed your project.